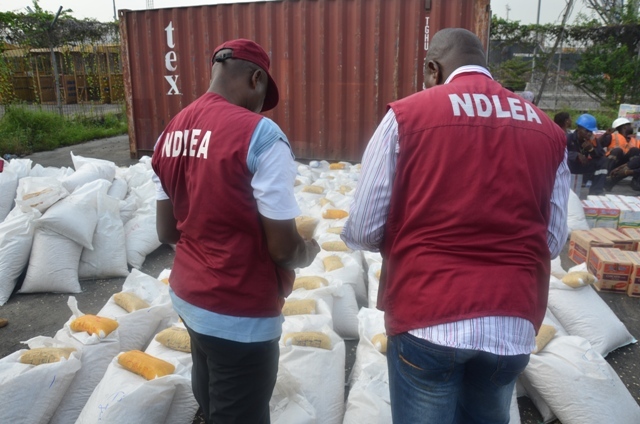 Over eight years after dozens of alleged cocaine traffickers absconded from their trial in a federal court in Lagos, the National Drug Law Enforcement Agency (NDLEA) has been unable to bring them to justice. After the more than 30 suspects standing trial before different judges were granted bail following their arraignment, they were kept at the Kirikiri and Ikoyi prisons from where they were released after meeting their bail conditions. At least 26 of them are still fugitives, according to the NDLEA. The fugitives had been arrested in different parts of Lagos with a total quantity of narcotics put at more than 796.39 kilogrammes valued at N387 million, The Moment newspaper reported in July 2011. Last month, Ruona Meyer, a journalist, called out one of the fugitives, Olufunke Phillips, publishing on social media a 2011 news article in which the alleged cocaine trafficker jumped bail and was declared wanted. It is still unclear why the NDLEA refused to act despite Ms Phillips maintaining an active social media presence and publicly participating in the campaigns of Babajide Sanwo-Olu, the Lagos State governor-elect, ahead of the elections. At the time of the report by the newspaper, the then NDLEA chairman declared both the fugitives and their sureties wanted. He promised to re-arrest and prosecute them. Mitchell Ofoyeju, who was the NDLEA spokesperson at the time, said the agency was already planning to prosecute those who stood sureties for the fugitives. Mr Ofoyeju was redeployed to the Edo State Command of the agency in August 2017, 18 months after President Muhammadu Buhari appointed Mustapha Abdallah, a retired colonel, as Mr Giade’s replacement. Contacted by PREMIUM TIMES, Mr Ofoyeju said although he is no longer in the NDLEA’s public affairs division, the agency would “definitely” have the latest details on the issue. In response to a Freedom of Information request by PREMIUM TIMES, the NDLEA said although the suspects were among those granted bail by the court, the agency did not participate in the verification of their sureties and satisfying the relevant bail conditions. “Subsequently, the defendants jumped bail and the agency has been taking steps to track all concerned and bring them to justice,” the NDLEA said in a letter signed by J.N Sunday, director, prosecution and legal services. The agency said its efforts had yielded “positive dividend” in tracking some of the fugitives and that those tracked had been prosecuted and convicted. “In some other cases, the agency was able to locate the sureties who forfeited the bail bonds and or were sent to jail for facilitating escape of the defendants. In 2008, the NDLEA arrested Egeonu Martin Nnamdi, 36, at the Murtala Muhammed International Airport in Lagos for allegedly ingesting 66 wraps of cocaine and concealing another 2.4 kilogrammes of the substance on his body. The suspect was arrested while trying to board a Turkish Airline flight to Istanbul, capital of Turkey. The 2.4 kilogrammes of cocaine was neatly taped on his waist. The suspect who is a native of Amaigbo community in Orlu Local Government Area of Imo State said that he was a successful businessman until he was duped of N3 million, a situation that lured him into drug trafficking. He also said that he was deceived by his sponsor who told him that he should do it and that he will not be caught. “Since I was in serious financial difficulty, I believed him. He promised to pay me 1,500 dollars per kilogramme. See now I have been caught and my wife is pregnant. She will put to birth in the next two weeks,” Mr Martin said. The NDLEA arrested Chidiebere Charles Adamemium in 2008 for allegedly ingesting 100 wraps of substance that proved to be cocaine. The agency said the 27-year-old suspect who returned to Nigeria on February 9, 2008, to smuggle narcotics to Milan, Italy, works as a gardener in Rimini, Italy. He was arrested during the screening of passengers travelling to Milan on an Alitalia flight. Chijindu Bright Alozie was among four suspects arrested by the NDLEA in March 2008 at the Murtala Mohammed International Airport for alleged possession of cocaine. The 25-year-old tested positive for drug ingestion during the screening of passengers on a KLM flight. He was to travel to Madrid with 66 wraps of cocaine for $3,000. According to the NDLEA, the suspect works in a factory in Valencia, Spain, and hails from Amatu in Obimangwa Local Government Area of Abia State. Eruka Jonah was arrested by the NDLEA at the Murtala Mohammed International Airport, Lagos, in June 2009. A single parent who lives in Togo, the suspect allegedly ingested 80 wraps of substances that tested positive to cocaine, weighing 1.792 kg. He was caught during the screening of KLM passengers and according to him, his sponsors would have paid him 4,000 Euros if he had successfully delivered the drugs in Amsterdam. Eta James Omojuwa, a former councillor in Delta State, was arrested at the Murtala Mohammed International Airport, Lagos, in March 2008 by the NDLEA. The suspect, 40, was arrested for allegedly ingesting 84 wraps of cocaine during the screening of passengers on Virgin Atlantic flight to London. The suspect allegedly confessed to having invested N1 million naira in buying the cocaine after a Jamaican woman told him in his previous visit to London that there was much profit in the business. The NDLEA arrested Atewe Oge Rawlings, 25, at the Murtala Mohammed International Airport in March 2008. The suspect, a native of Agbor in Ika South Local Government Area in Delta State, allegedly ingested 130 wraps of drugs that tested positive for cocaine weighing 1.759 kilogrammes. Mr Rawlings, who had been working in Perugia for seven years, was arrested during the screening of passengers of Alitalia flight from Lagos to Milan. Emmanuel Nleanya was among four suspects plying the Nigerian-Brazilian route arrested by the NDLEA at the Murtala Mohammed International Airport, Lagos, in July 2009 for allegedly ingesting cocaine. Mr Nleanya, 29, was arrested during the inward screening of passengers. He claimed to have been selling children’s toys in Brazil for over five years and that he invested $6,000 in the drug business. Anthony Chukwudi Amaefuna, 39, was arrested in August, 2008, at the Murtala Mohammed International Airport, Lagos, for allegedly trafficking 1.420kg of cocaine. Mr Amaefuna was caught during the outward screening of passengers on KLM flight to Amsterdam for allegedly ingesting 70 pieces of wrapped cocaine. The motor spare parts dealer was arrested on his way to Düsseldorf, Germany. He was to be paid 1,500 Euros, according to the NDLEA.